The Red Cross Discharge Employee Union (RCDEU) on Monday launched hunger strike against alleged corruption in the Red Cross Hospital in Guwahati. 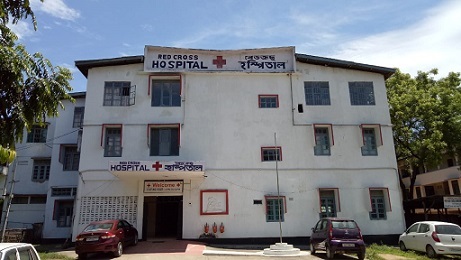 Red Cross Discharge Employee Union president Ramen Barua during their protest on Monday alleged that the Union would not let the ‘corrupt’ people to destroy the Red Cross hospital at Chandmari in the city which has a glorious past. 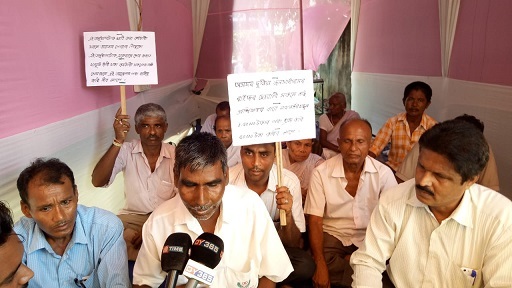 Meanwhile, the general secretary of the union, Phatik Das said that the union has been continuously protesting against ‘corruption’ in the hospital since 2008. “We called on the Assam Chief Minister, Assam Governor and Kamrup (Metro) Deputy Commissioner earlier for several times in the matter. But, we have not received any positive response. Now, we have no option but to launch an indefinite hunger strike to meet our demands and prevent corruption in the hospital,” said Das. Das also informed that 20 employees were terminated illegally from service in 2008 by the then general secretary of hospital management society, Renuka Devi Barkataki. “We were terminated because we raised voice against Renuka Devi’s dictatorship in the hospital and the corruption that was being carried out under her leadership,” Das said. The protestors also alleged corruption slur against the present general secretary of the Red Cross Hospital Management Society, Diganta Bujarbarua. However, despite several attempts Bujarbarua could not be contacted for his comments. Phatik Das also brought allegations against other executive members of the hospital management committee. Talking about the training of nurses, the union demanded that the admission fees of the students be reduced from Rs 1.5 lakh to Rs 50,000.